These rocks look incredible and quite mysterious. It is believed that these mountains were "serrated by Angels" (carved by Angels) thus comes the name Montserrat. The building on the right, if I'm not mistaken, is where the Benedictine Monks reside. There are only 30 left today. In geological explanation, these area used to be a lake and this is why these rocks are very smooth and strangely situated in the middle of grassy hills. Neo-Romanesque statues and design adorning the basilica. This is a beautiful church. While we were there, we heard the performance of the choir boys. They really have angelic voices. Inside the basilica, one can find the La Moreneta or Black Virgin. La Moreneta is the Patroness of Catalunya. 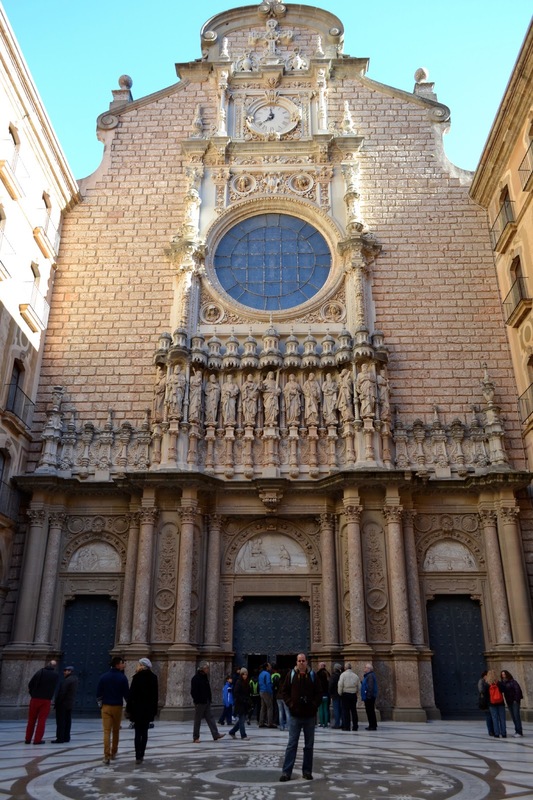 There's also the Cami De l'AveMaria where devotees and pilgrims can light candles. It was cold and windy when we visited, but for a few moments the sun gave its warmth. This is the Sant Joan Funicular which you can see is pretty steep. This is another 820 feet above the monastery. For those who love to hike, you can start at the foot of the mountain and climb your way to the top. A lot of pilgrims and devotees do this. I think Montserrat is truly worth a visit. It's not just a place for pilgrims, the religious or devotees, but for anyone who can truly appreciate beauty. Perhaps, these rocks were truly serrated by Angels, and if they're not, I'm still happy I got to experience Montserrat's beauty and grandeur. I'd love to visit that place too! it's incredible! i wish i'd seen it. it will be an easy climb for you, angeli. you've done far more advanced hiking than this. Great place.. and nice pix.. The rocks look mysterious, indeed. Wow that is indeed steep! 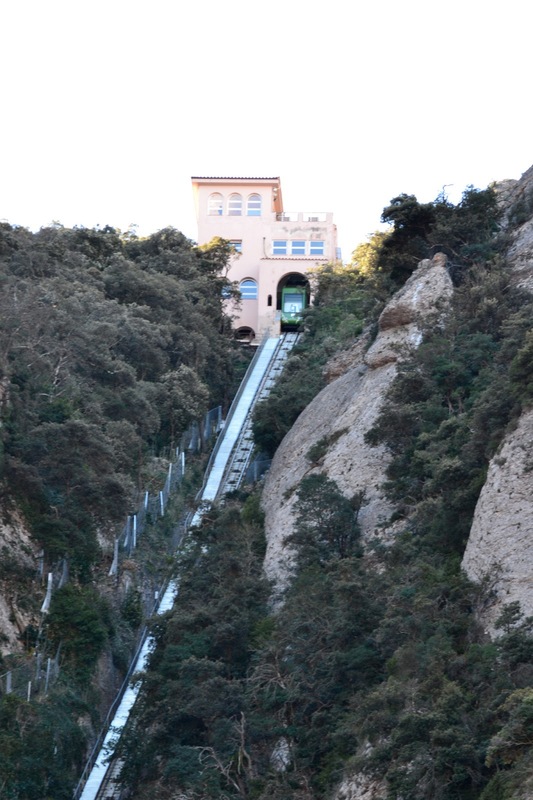 Thankfully, there is a funicular which are so much fun to ride especially if one is accorded such a fantastic view of the mountains. That's an incredible place! Those rocks make such a breathtaking backdrop. Divine creation!